For the past 20 years in Balham and Earlsfield, Skip Oliver (founder of whYoga) has been running All Levels Yoga Classes and Workshops and training yoga teachers in the WHYOGA Art of Hatha Yoga Flow. An All Levels Yoga Class embraces All Levels of practitioner, including Post-Natal. To book a class see Booking. These classes are choreographic creative and original. 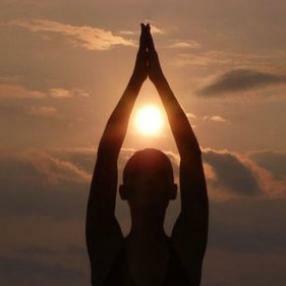 The word ‘yoga’ defines ‘unity’ and a class of mixed ability yoga practitioners embraces this definition. A feeling of nurtured camaraderie is one of the most important elements of the Hatha Flow whYoga All Levels class, so that the time set aside for this assisted practice is joyful, safe and moving. It takes about 6 weeks of once or twice weekly classes for the body and mind to settle into the literal and physical language of Hatha Yoga. After six weeks a yoga beginner will feel a greater mastery over their practice; the mind will stop reasoning and the body will feel and act by its own intelligence. When this occurs the mind is then given the space to engage in present moment awareness; the foundation of living fulfilment. The classes are designated for people at all stages of their practice and are safe if sometimes challenging. All are welcome irrespective of experience. 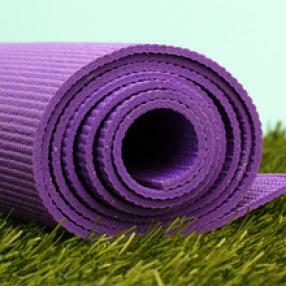 Equipment required can be purchased from the whYoga shop. Equipment will be brought to class. For health and safety you will be required to bring your own yoga mat to all pregnancy yoga classes in Balham or Earlsfield. Environmentally friendly, hypo-allergenic mats can be purchased in our shop. No camping mats or towels allowed. Please consider purchasing a half yoga block and 5 yoga blocks (for inversions and restorative poses) and a D ring yoga belt. Alternatively, you can bring a thick blanket and a long book a class see Booking. The library is next to Waitrose and you can park for free on the road and in Waitrose. The entrance to the hall is on Ramsden Road through a large green door. 75 minute class suitable for all levels. We will move through an abridged Ashtanga sequence focusing on alignment and the breath. An instructional class designed for the complete beginner of those who want to improve their practice. An introduction to the postures, breathing techniques and meditation to you started on your yogic path. A complete beginners foundation course offering detailed instruction on basic postures and methods of a dynamic yoga practice suitable for those with little or no experience. This is dynamic class, prepare to be challenged. All classes end with a deep relaxation. Vinyasa yoga, in which movement is synchronized to the breath, is a term that covers a broad range of yoga classes. This style is also called flow yoga, because of the smooth way that the poses run together and become like a dance. The breath becomes an important component because the teacher will instruct you to move from one pose to the next on an inhale or an exhale. Vinyasa is literally translated from Sanskrit as meaning "connection," between movment and breath. A gentle class to start the week , ideal for beginners or if you simply want to take it easy or if you are managing conditions like chronic fatigue or arthritis.